I am one of those who could live on bread. I love having bread with dinner, but it has to be a good bread, not the cheep store bought bread with 40 ingredients. When I make lunch or dinner that would go well with bread, like soups or pasta and I don´t have a good bread I make these buns. Because they take no time to make and bake. There is no yeast so it doesn´t have to rise at all. It is also easy to mix, just with a spoon for half a minute, until everything is mixed well together. It is full of good stuff. 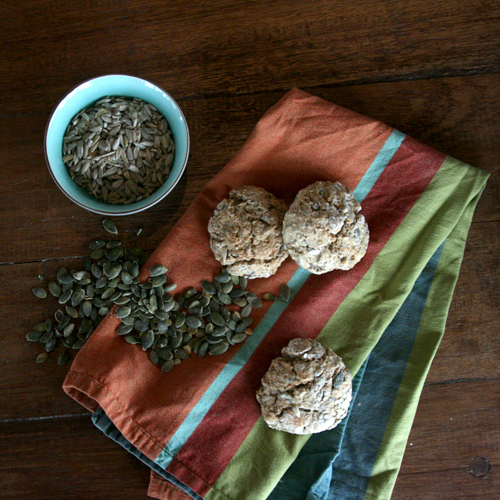 I use a seed blend ( flax seeds, sesame seeds and more) and lots of pumpkin seeds and sunflower seeds. You can use any seeds you want of course. You can make a bread or buns, this time I made buns. These buns are best when they are fresh from the oven because they are not light an fluffy at all, but if you like seeds and bread you will like it. Mix ingredients together in a bowl. Make buns or a loaf. Bake for half an hour or so at 200°c. I hardly leave home without my camera. This time I saw it on the table and thought, ooh well, I will probably not use it anyway so i didn´t take it. On my way home one of the bull on the field was posing so perfectly, standing alone on the top of the hill, like he knew I was driving by without my camera. 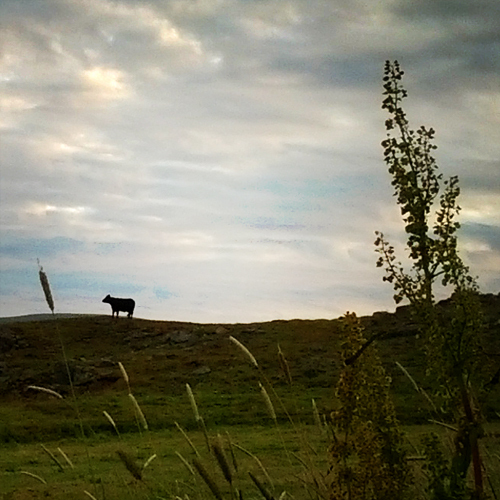 I had a camera phone and I took few snapshots, no zoom so the bull looks like it´s miles away… but lesson learned. NEVER leave home without your camera. I love the ‘never leave your camera at home’ part. It always happens to me (with other stuff) -that I think something like that and regret it later. 🙂 and put the cf card in the camera as well… I was taking bunch of picture of my newborn smiling yesterday…without the memory card….what´s next? I better go charge the batteries! I try not to leave it at home… sometimes it can’t be helped though. I too adore bread, so delicious. Can be so bad for you though!